"We want our children to fall in love with Greece," say the organisers. 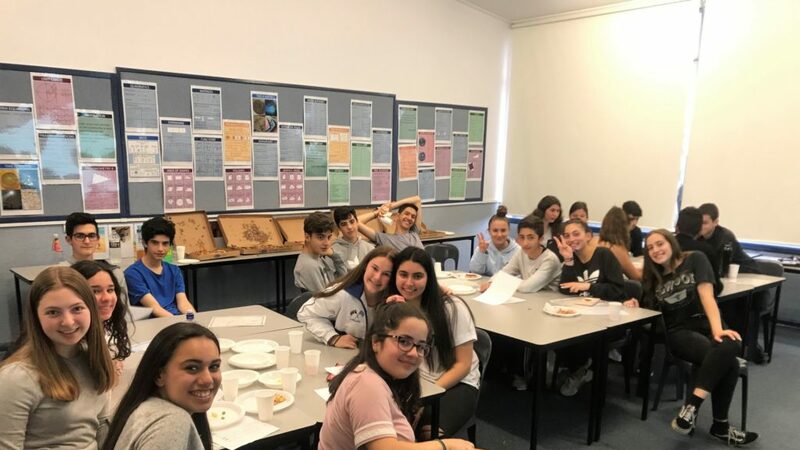 Twenty Greek-Australian teenagers will have the opportunity to experience a once-in-a- lifetime opportunity as they embark on an educational trip to Greece this April, organised by the Greek School of Port Adelaide in cooperation with the Greek Orthodox Community of the Nativity of Christ, in South Australia. “We are proud to be able to provide a platform for our students to visit our homeland and fall in love with our culture once they have experienced it. It has been a dream of our Community for a while and being able to arrange this event with the cooperation of the parents of our students, is just a great outcome,” said President of the Greek Orthodox Community of the Nativity of Christ, Ioannis Douvartzidis. The twenty students, aged 13-18, will fly out to Greece on April 11, together with Principal of the Port Adelaide Greek School, Ms Irene Zinonos, accompanied by former School Principal Eleni Iliou, Chairman of the School committee Evangelia Moutsatou and member of the parish John Briggs. A large amount of the excursion expenses will be covered by the Greek school and the Greek Orthodox Community of the Nativity of Christ. “Our children and their families work really hard to maintain our culture, our language and our customs alive. They are dedicated to our community and they attend and support our school every week. What better opportunity can we provide for them than to ensure we keep the light of our forefathers glowing in this new homeland,” said Mr Douvartzidis. During their stay, the young teenagers will visit various archaeological places and historical monuments and will get to experience Easter in Greece. “This is a specially designed educational program which will commence in Athens and conclude in Florina. As important as education inside the classroom is, we feel that the benefits of visiting those sites in person and living those experiences first hand, are invaluable,” said Ms. Zinonos. The Temple of Poseidon in Sounio and other archaeological sites. The young teenagers will then head to the Peloponnese where they will be given the opportunity to visit Corinth, Epidaurus, Mycenae, the first historical capital of Greece, Nafplio and ancient Olympia (ancient stadium and Museum of Ancient Olympia). Finally, they will head up north where they will spend a few days exploring Kalavryta, Agia Lavra, Messolonghi, Arachova, Delphi, Thermopylae, Meteora, Kalampaka, Larissa, Thessaloniki, Pella, Florina, Vergina, Naoussa and Kastoria. Will ancient Greek save our language woes?